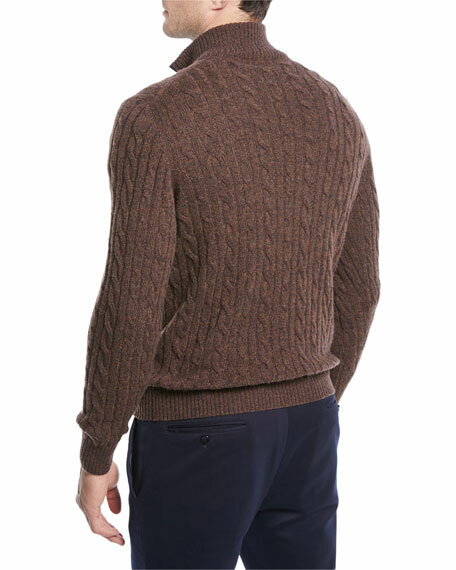 Loro Piana sweater in cable knit. Loro Piana sweater in piqu-knit. Stand collar; half zip placket. Slim fit. Straight hem. Cashmere. Made in Italy.